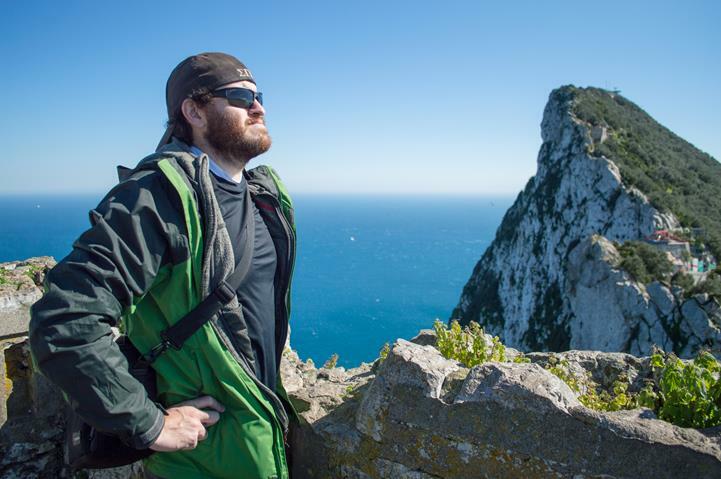 We had just gotten in from Morocco to Southern Spain the night before, but knew we had to climb the giant Rock of Gibraltar. We’d seen the Rock easily from the ferry, but it seemed even bigger when we crossed the casual border into Gibraltar and realized that it took up a lot of the space on the territory. Nonetheless, we were going to tackle this mountain even if it took all day. In the end it did actually take us most of the day. 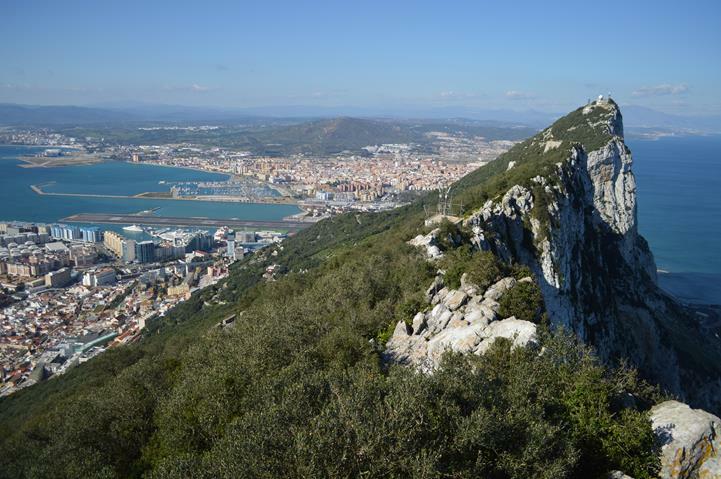 A couple things about Gibraltar, it’s not considered a country, but is in fact a territory of the United Kingdom. There are more than 130 caves inside the rock once used by people as shelter from the storms. I can imagine there are some intense storms in the area too, when we were at the top the wind was enough to knock us off a cliff. We enjoy hiking, especially when it means having a killer view like this one. We kept stopping along the way to take pictures, which would explain why it took us so long, and we stayed at the top taking it all in for a couple of hours. There were plenty of Macaques along the path that made the hike much more interesting. One of the macaques saw my snickers bar and came running towards me. I knew he was going to jump on me and attempt to steal my snickers bar away, but I held it close and swung the macaque off as quickly as he’d jumped on. He gave up right away, possibly because he saw that I was ready to fight him off again or because he gets opportunities all day to steal things from tourists. Either way, nobody steals my snickers bar when I’m hungry. There was another tourist who had her sunglasses stolen from her by one of the macaques and her friend attempted to get it back. He tricked the macaque by handing it some plants and then snatched the glasses out of the macaques hand. The macaque and his gang were instantly furious and chased after the guy. Luckily they gave up when he fended them off, but not without intimidating him with their teeth and claws. 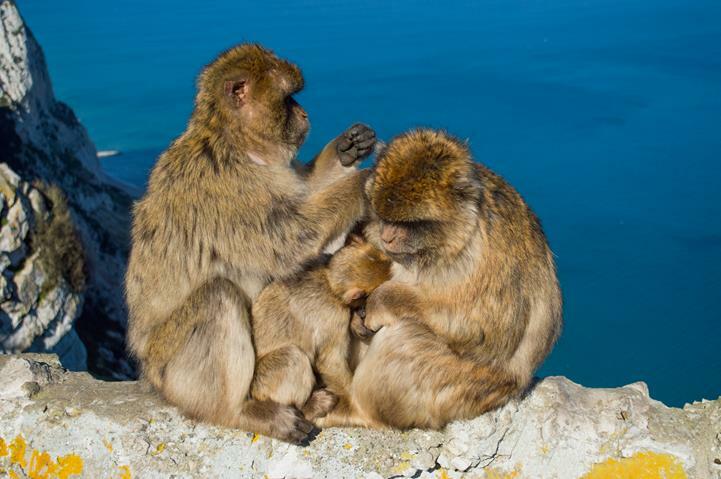 These macaques are not to be messed with! We made sure to avoid the macaques as much as possible as we made our way back down the rock, and fortunately didn’t have any more unpleasant interactions with them. We literally had spent the day on the Rock of Gibraltar so we didn’t get to do anything else, but we weren’t sure there was much else to do on the tiny territory. 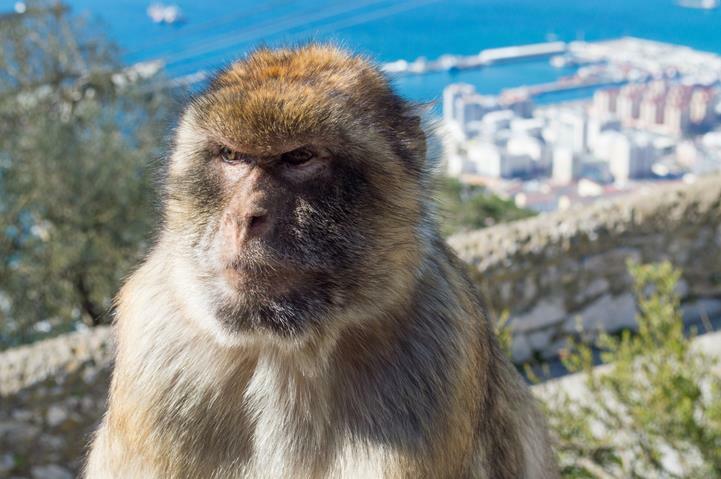 We crossed back over the airport tarmac to Spain and that was our Gibraltar experience. Ever been to Gibraltar? What did you do?